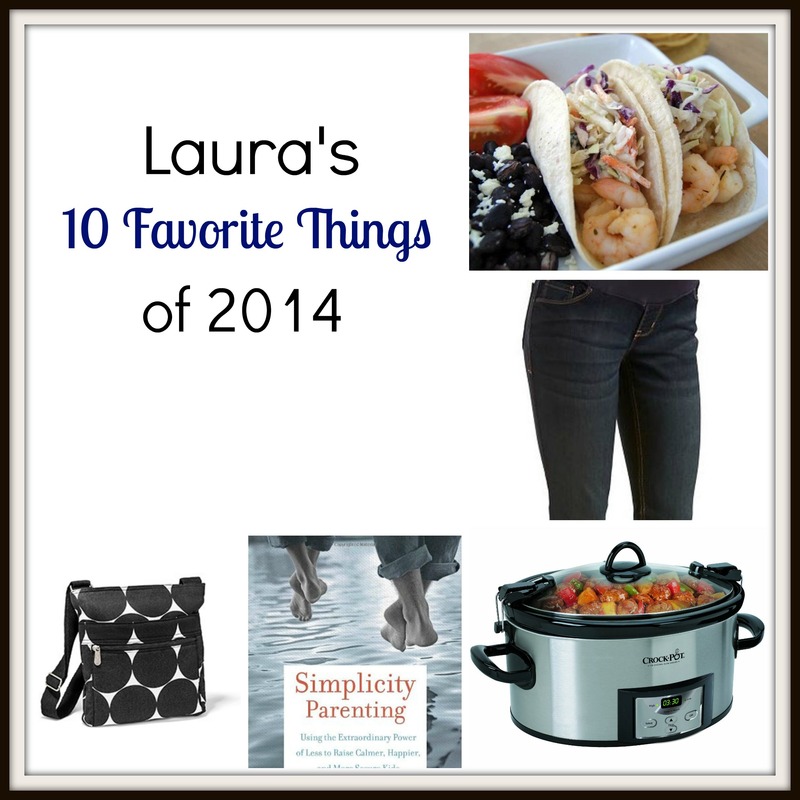 After Angela finished her round-up of Angela’s 10 Favorite Things for 2014, she asked me (Laura) to try my hand at it and I was happy to oblige. I l-o-v-e product recommendations from other people and getting some unique, off-the-beaten-path ideas for great gifts for other people. Now, while I don’t mull over purchases as much as Angela does, I always check for reviews, customer experiences, etc. before purchasing because the last thing I want to do is waste my and my husband’s hard-earned money on something that’s just going to end up sitting on a shelf somewhere. All of the items listed here are truly my favorites – products I return to again and again! Again, these items range in purpose and price point, so maybe you’ll find something for that hard-to-buy person on your list today. I didn’t exactly discover this in 2014, but I do need a new one and this is the model I’ll be choosing so I figure that’s close enough. 🙂 I use my shoulder bag every. single. day. It is the perfect size for all my essentials (phone, wallet, keys, etc.) and goes over my shoulder so I don’t forget it or have to worry about it slipping down. They have lots of cute patterns to choose from (mine is denim) and it holds up well to repeated use. My husband balked a little when I told him I needed a new one (“$45 for a purse, Laura?”) but I assured him that I definitely get my money’s worth out of it. 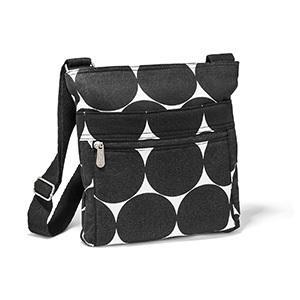 This would make a great gift for a busy mom or any woman who likes to keep things simple and doesn’t feel the need to carry a truckload of stuff with her wherever she goes (I carry this and my diaper bag). Just so you know, I live in the frozen tundra of Minnesota where we’ve had snow on the ground for at least a month now. But even if you don’t need snow boots and just want to keep your feet warm, these boots are amazing and worth every penny. I actually bought these last year on clearance but didn’t take them out of the box until this winter because I thought I’d ordered too small of a size and never got around to returning them. Well, I wish I’d pulled them out last year – they are super cute and comfortable, waterproof and warm, and easy to take on and off. Got someone on your list who’s always complaining about cold feet? 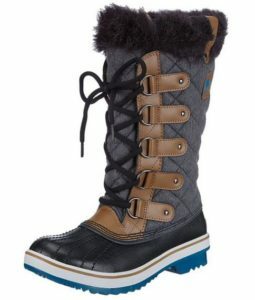 Point him/her in the direction of Sorel – or better yet, just get him/her a pair of boots and smile. I’ve written about this product before, but I really do love it (as do my kids!). You can use it as a stick vac or take it apart to use it as a handheld vac or utility vac. It’s simple to take apart and put back together (my kids can do it). Now, it’s not going to do any heavy-duty vacuuming, but for small spills, stairs, etc. it is perfect. It is super lightweight so my kids have no trouble getting it out of the closet to do their chores. Now, it might seem strange to give a vacuum as a gift, but if you know someone who has a need for this item they’ll thank you for it and think of you every time they use it. Gotta love that! If you’re pregnant, you need to check out these jeans (or if you’re not, pass the tip on to someone who is). I’m due with #4 in February and discovered these skinny jeans a couple of months ago. They are comfortable and flattering and I love the dark wash, plus they work very well with boots. They have a 4-star rating from nearly 500 reviews at OldNavy.com, so I know I’m not alone in loving them! I discovered this wonderful cleaner this year (this scent, specifically) and I l-o-v-e it. It’s a natural product and kid-friendly, plus it just smells so lovely! (Other scents are available if you don’t like Lemon Verbena – the Geranium and Lavender are winners, too.) I use it nightly to clean off my kitchen countertops, stovetops, etc. and it works really well. I was thrilled to discover that this product is sometimes available via Subscribe & Save, too! 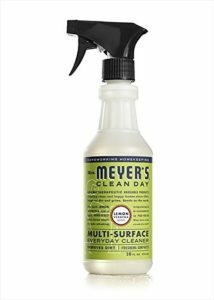 A bottle or two of this cleaner would make a nice hostess gift along with a pack of microfiber cleaning cloths (these are my favorites). While I’m not nearly as much of a runner as Angela, I do enjoy it and am looking forward to getting back into running once this baby is born in February. 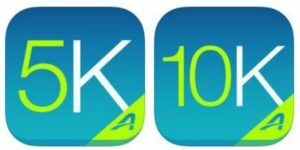 These two apps helped me train for two 5Ks this year (one in May, the other in July) and begin training for the 10K I had hoped to run in September (alas, first trimester woes kept me from running that race). The system builds you up gradually to running longer and longer distances, and before you know it, you can look back on your progress and see that you’ve accomplished what you didn’t think was even possible just weeks before. Now, you can’t really gift an app (or can you? I’m not that tech-savvy), but get that aspiring runner an iTunes gift card and write down a few apps (like these) that might spur them in the right direction. I’ve tried other meal planning services in the past, but this one is definitely my favorite. Each month you can download one (or all three!) meal plans – options include Classic, Gluten Free, Clean Eating or Paleo (or you can create your own). You’ll get five meals to make each week as well as a shopping list. Buy your ingredients, set aside an hour, then do all of the prepwork for the meals and store them in your fridge or freezer. 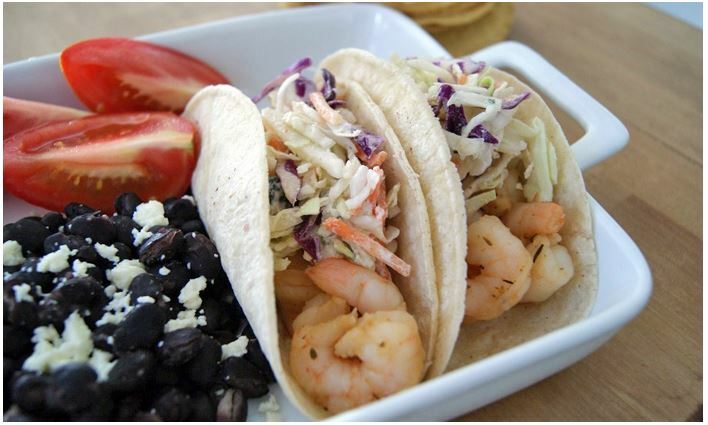 Pull one out each weeknight and voila! Dinner is served. This is convenient even for me as a work-from-home mom because I never have to think about what to make for dinner, plus afterward I don’t have nearly as many dishes to do. **Update June 2015: After some poor experiences with Homejoy, I no longer recommend this service. Again, I’ve tried other house cleaning services, but this is my favorite so far and the one I’ve returned to. You can schedule your appointments well in advance and they have fantastic customer service. There’s a selection of housecleaners, but if one of them doesn’t work out you can prevent that specific cleaner from showing up again (they only send one). 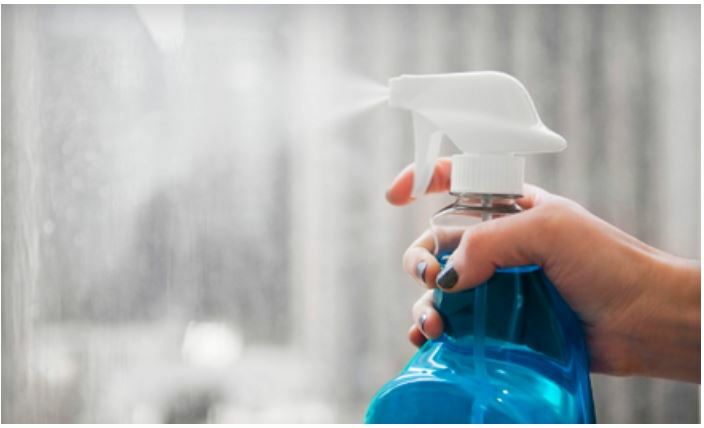 You can also schedule your appointment with specific cleaners if there’s one that has done a particularly good job. Speaking from experience, this would be a fantastic gift for new parents! The 1-month membership allows your recipient to continue at the same hourly rate for a month after the initial cleaning. You can also go through this link to get a $25 credit toward your first appointment. OK, so yeah, I’ve used a Crock-Pot for several years so this isn’t anything new, but I do need a new one and since the one I have is no longer available, this is the one I’m going with next. My absolute favorite feature? The digital countdown control. 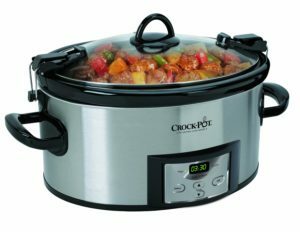 My current Crock-Pot has that feature and I’ve found that it’s absolutely essential to me – I can’t go back to using a Crock-Pot without it! You can set it at the beginning of the day (or whenever) and leave the house without worrying that whatever you have in it is going to overcook as it just changes to “keep warm” once the time is up. I also like the 6-quart capacity and the locking lid. I’m a bibliophile so it was hard for me to not make my entire list just 10 books. 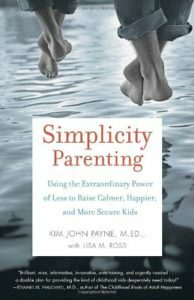 My book club read this recently and it is my favorite parenting book I’ve read so far. It fits in very well with my personal parenting philosophy – kids don’t need a lot of stuff and they don’t need to spend a bunch of time running from place to place or activity to activity. There’s a lot to digest in this book and it’s worth reading and rereading, even if you don’t necessarily agree with everything the author presents. PS – For more targeted ideas, please see our comprehensive list of Gift Guides. Whether you’ve still got a hard-to-buy-for-man, tween boy, or fitness freak on your list – we’ve got you covered.